A great interactive ride for both children and adults. Four people strap into their own race-car seat and begin pumping the handles-the faster they pump, the faster they go; when they stop pumping, the G-Force continues to free-wheel. When it’s time to stop the operator applies the brakes. 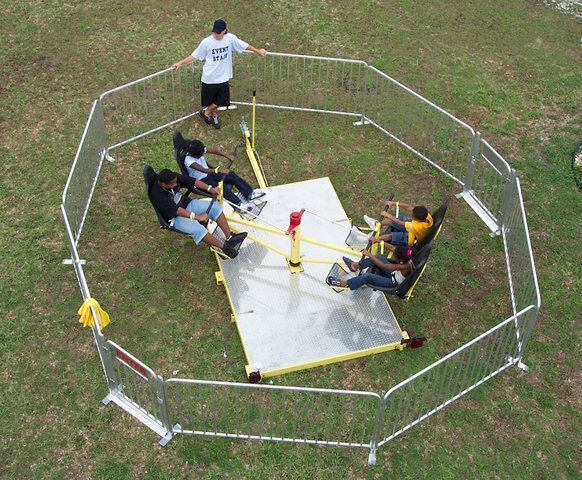 Our mechanical rides are great for carnivals!